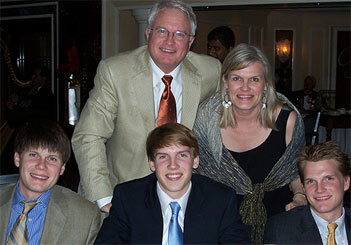 NetVoice has been a family-owned "sound" company for 40 years. Founded in 1973, grad students Jerry and Jean Jordan duplicated cassettes of all the concerts at the University of Illinois and paid their way through college selling them to the performers. During the early eighties as professors at the University of Mississippi, they expanded into old time radio show duplication and sales and acquired the local answering service that was taking their orders over 800# lines. In 1986 they expanded into time/temperature/weather forecast announcements and added telephone banking in 1994. The company quickly expanded into eleven states with hundreds of customer sites and became the preferred telephone banking vendor for several core software providers. In 2005, an ISP was acquired and internet and telephone services added among their offerings. They built a new 5,000 sq. ft. headquarters in 2007. Jerry and Jean have been the sole owners throughout the company's entire tenure. Now, with the economies of scale afforded by the NetVoice national telephone and internet network, telephone information services of all kinds can be provided inexpensively anywhere in the United States. Without the organizational expenses and overhead of typical large corporations, considerable additional savings are passed on to our customers; and, as our customers and employees will tell you, no customer concern is too small to receive our owners' attention.